South Africa is currently experiencing its worst drought since 1992 and in some parts of the country, there are harsh water restrictions. Make your life easier and start to seriously become a water-wise leader, if you haven’t already. 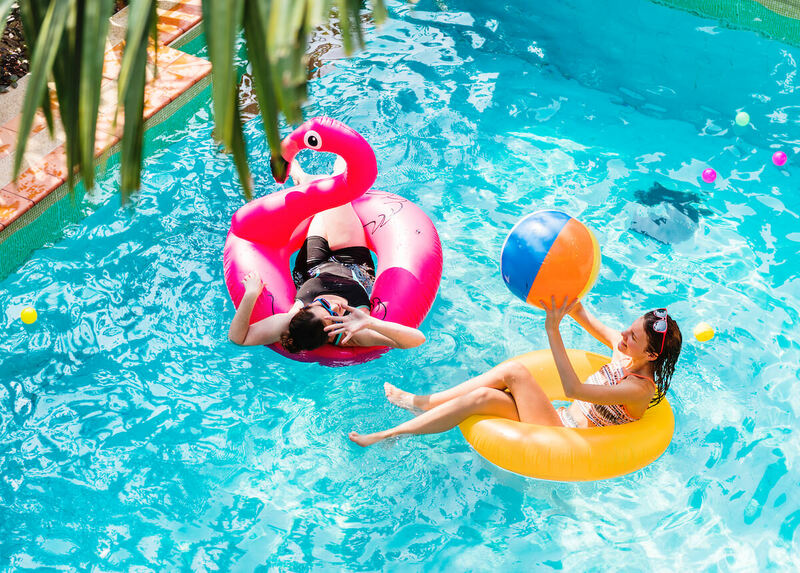 You can save precious water with a few simple steps, starting with your pool, which may actually be possible for your kids to still play in the pool during the holidays, in this tough drought. However, make sure you do your part to reduce water waste and help conserve your H20. Book A Free Market Valuation Of Your Home In Less Than 2 Min. You are 2 minutes away from scheduling your valuation. 1 minute down, 1 to go! Enter your email address and we will make contact to confirm a time that suits you. Use a pool cover and it will reduce water evaporation by up to 95%. A pool cover is a cost-effective and long-term way to save you money and the environment, plus it will shrink your power bills. If your pool is heated, reduce its water temperature. Warmer water evaporates way faster. Shut down features such as fountains or jets in your pool. Not only do they use more power, but the effect of aeration causes more evaporation. Replace your old pool pump with a water-efficient, eco-friendly pump which you can buy at your local hardware or pool shop. Whatever you do, don’t contemplate emptying out your pool or let the water lie stagnant. An empty pool will start to crack as the structure will begin to dry up and start rising, as there will be no weight of the water to keep it in place. Stagnant water will attract unwanted microbes and can become a health risk to you and your family. If you live in an area where you can afford to fill your pool, make sure to keep an eye on your water level. If you forget to shut off fill water, this can become a costly waste. Tell the kids not to dive in the pool to reduce wasted water loss from splashing. This goes for the furry kids as well. A great way to save water is to stock up on a water tank or two. You can top up your pool with any collected rainfall water, if needed. Repair any swimming pool leaks! Any size leak can seriously waste a substantial amount of water. If your pool filter requires being backwashing, either changing the frequency of your backwash to be less often, or rather manually clean your filter. You will do a better cleaning job and use less water. You can also reuse backwash water to water your garden. Maintain correct chlorine levels to keep your pool safer and cleaner, as in doing so, you will prevent your pool from having to be drained if mismanaged. Lastly you can water your plants with your pool water as well. Dechlorinate your pool water so they will not damage your plants. Be responsible and become a water-saving expert so you can enjoy your pool this holiday, without any guilt or wastage. The environment will thank you too!